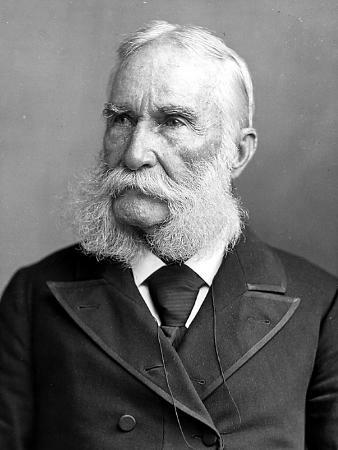 Portrait of Confederate General James Longstreet (1821-1904), second in command to General Robert E. Lee during the Civil War. From negative (1895) from life by F. Gutekunst, Philadelphia. Source: New York State Archives, New York (State). Department of Education. Division of Visual Instruction. Instructional glass lantern slides, ca. 1856-1939. Series A3045-78, No. 8429.